Should Christians welcome or deport asylum seekers and other immigrants? 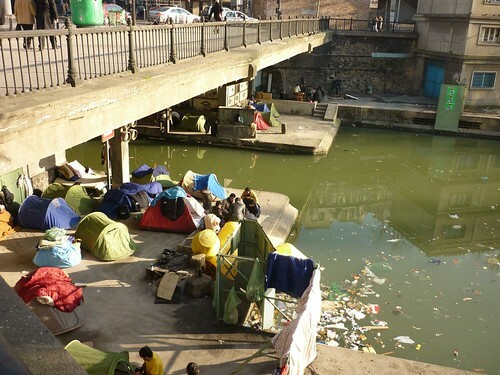 Is aid to refugee camps really better than receiving refugees? And is it a Christian duty to christianize territories and then protect them against islamization? 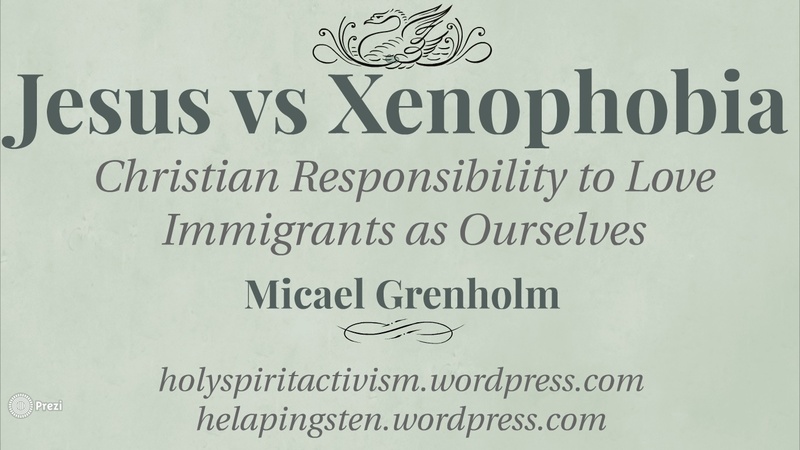 These are some of the issues I talked about at my seminar Jesus vs Xenophobia on the annual summer camp for the Scandinavian Vineyard movement. A friend filmed it all and I have now uploaded it to the Holy Spirit Activism YouTube channel. The first part deals with what the Bible says concerning migration, borders and refuge, the second part describes the global refugee crisis and discusses some of the arguments anti migration advocates use, and the third part is a short Q & A.
Here’s the Prezi presentation I’m using. Restricted migration is intrinsically racist, because it is much easier for white people to enter Western nations then for people of other ethnicities. In fact, migration was almost totally open for white Europeans to enter the United States and Canada during the 19th century. Even today, it is very, very easy for Europeans to become Americans and for Americans to become Europeans. 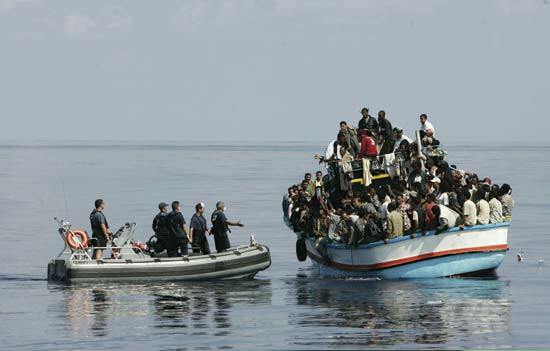 And within the European Union, migration is totally free. For non-white people in other parts of the world though, it is extremely hard to enter Westen nations. Even Syrians, who clearly have very good reasons to leave their country right now, do not have open access to the West. The United States only allows 2000 Syrians to enter, after making sure they aren’t terrorists. Sweden is one of very few countries within the European Union to give permanent residency to Syrians, but still it is illegal for Syrians to get a visa to Sweden, so they have to enter illegally. That’s insane, people.